Astronomers say they have have discovered a black hole so big that it challenges the theory about how they grow. Scientists said this black hole was formed about 900 million years after the Big Bang. But with measurements indicating it is 12 billion times the size of the sun, the black hole challenges a widely accepted hypothesis of growth rates. “Based on previous research, this is the largest black hole found for that period of time,” Fuyan Bian, Research School of Astronomy and Astrophysics, Australian National University (ANU), told Reuters on Wednesday. “Current theory is for a limit to how fast a black hole can grow, but this black hole is too large for that theory.” The discovery was described in a study published Wednesday in Nature. The creation of supermassive black holes remains an open topic of research. 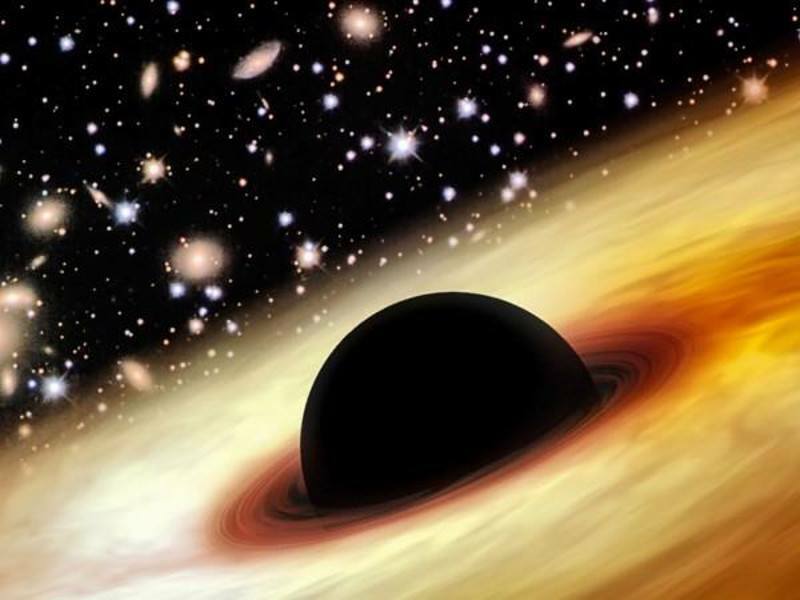 However, many scientists have long believed the growth rate of black holes was limited. Black holes grow, scientific theory suggests, as they absorb mass. However, as mass is absorbed, it will be heated creating radiation pressure, which pushes the mass away from the black hole. “Basically, you have two forces balanced together which sets up a limit for growth, which is much smaller than what we found,” said Bian. The black hole was discovered a team of global scientists led by Xue-Bing Wu at Peking University, China, as part of the Sloan Digital Sky Survey, which provided imagery data of 35 percent of the northern hemisphere sky. The ANU is leading a comparable project, known as SkyMapper, to carry out observations of the Southern Hemisphere sky. Bian expects more black holes to be observed as the project advances.